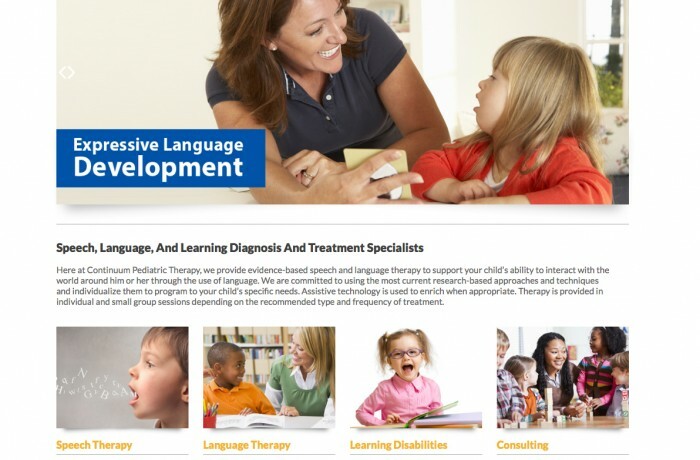 With a network of therapists and offices that spans the U.S., when The Continuum Group wanted to launch a web presence to support their Speech Language Therapy division they knew right were to come. Our team not only helped to devise the right brand and feel for their new division, we rolled out a custom web presence that would welcome their client base with open arms. From diagnosis and treatment of speech language deficits through support for educational deficits of all shapes and sizes, Continuum's pediatric therapy division now serves as a valuable platform for thousands of parents in need.